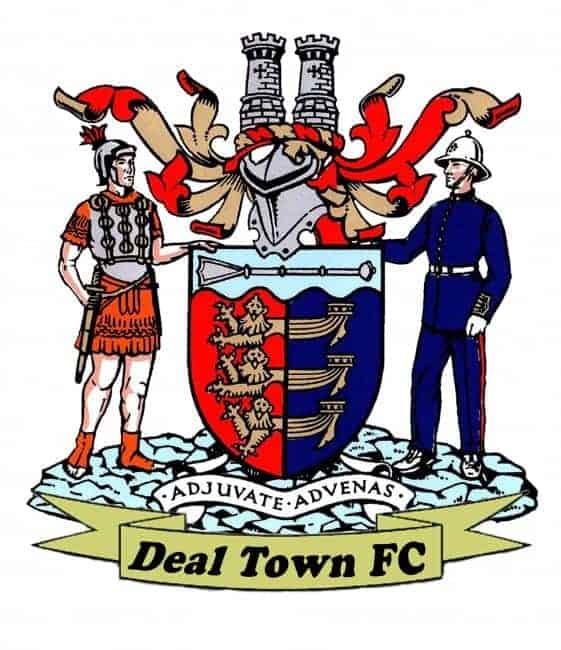 Deal ended 2016 with defeat at The Belmont on Tuesday which leaves them still sitting in the bottom reaches of the Southern Counties East League table. And the nature of this latest setback underlined the main problem facing Hoops’ manager Derek Hares as his side enter the new year – finding a sharper cutting edge in attack. 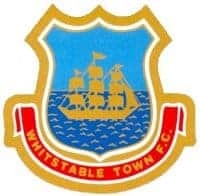 Deal enjoyed plenty of possession against a bigger and more experienced Whitstable side but rarely converted it into clear cut opportunities which meant the Oystermen were able to repeat the 2-0 victory they had achieved at the Charles Ground back in mid-August. Scott Porter’s team, however, were decidedly slow out of the blocks while the Hoops offered early attacking promise through the right-wing breaks of full-back Jack Paxman. But, apart from one Ryan Philpott shot which was blocked by home keeper Dan Eason, Deal were unable to take advantage and as half-time approached Whitstable, with talented playmaker Darren Marsden pulling the strings, began to show why they have been in the top eight since late October. They edged in front eight minutes before the interval when a long ball into the Deal box was headed down for debutant Tom Bryant, who joined the Oystermen from Tunbridge Wells just before Christmas, to lash high into the Hoops’ net. In contrast any crosses played into the Whitstable area in the first 45 minutes were usually headed clear by a home defender, and that pattern continued after the break even though the Oystermen’s tall centre half and captain Rob Gillman was forced to limp off just four minutes after the restart. With Lee Scott leading the way Deal again lacked nothing in terms of effort throughout the second half and Charlie Walsh was unlucky to see his 20-yard free-kick strike the Whitstable crossbar while substitute Kristen Gregory forced one flying tip-over save out of Eason. But what incisive attacking moments there were mostly stemmed from Marsden’s boot and with five minutes left Kane Rowland, Whitstable’s leading scorer, wrapped up the points with his 13th goal of the season, forcing his way past Paxman before shooting low into the far corner. Deal: Tonkin, Paxman, Bagley, Scott, Hark (Alexander 60), Anderson, Walsh, Adams (Reeves 55), Philpott (Gregory 70), Coyne, O’Brien.